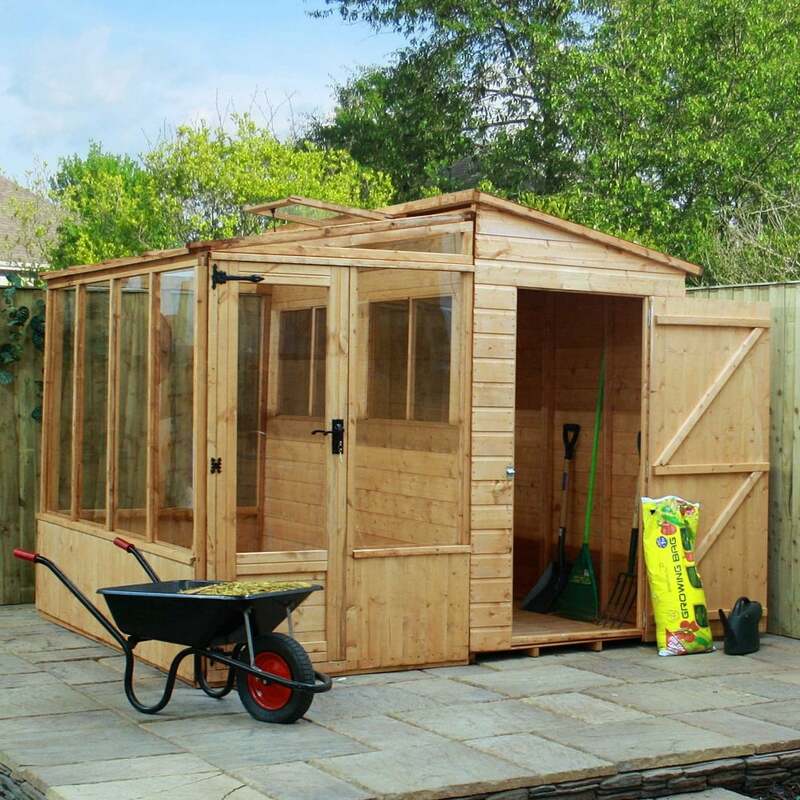 Mercia 8 x 8 Shiplap Combi Greenhouse and Shed: The Mercia Combi greenhouse is a fantastic garden building that combines a shiplap 8x4 pent shed with a tongue and groove 8x4 lean-to greenhouse to create this unique and functional garden building. The walls on the Mercia Combi building are constructed from shiplap interlocking cladding for a strong build and water resistant design and is supported by 44x28mm internal timber framing for added strength. The single glazed door to the greenhouse includes a lock and key and the single braced door to the shed features a pad-bolt to keep the combi building for storing all of your items safely. The 8 x 8 Mercia outdoor building is delivered flat packed for easy self-assembly.